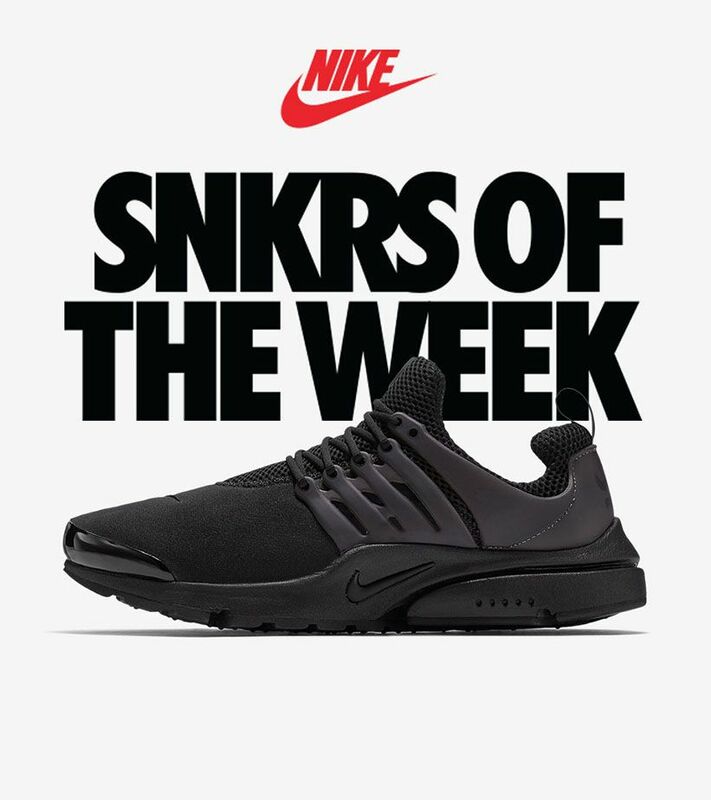 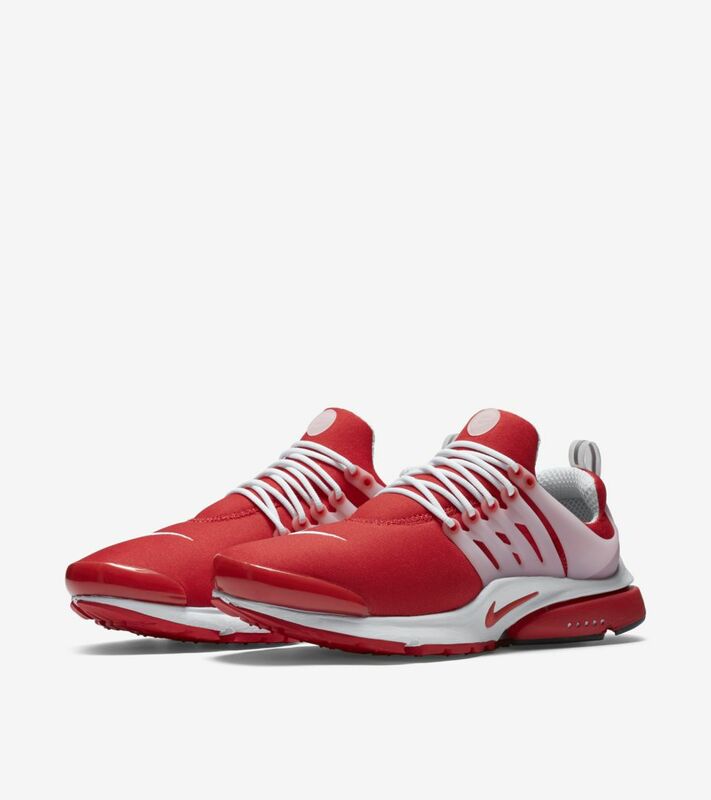 The combination of lightweight mesh, neoprene and soft Nike Air cushioning has made the Air Presto a staple. 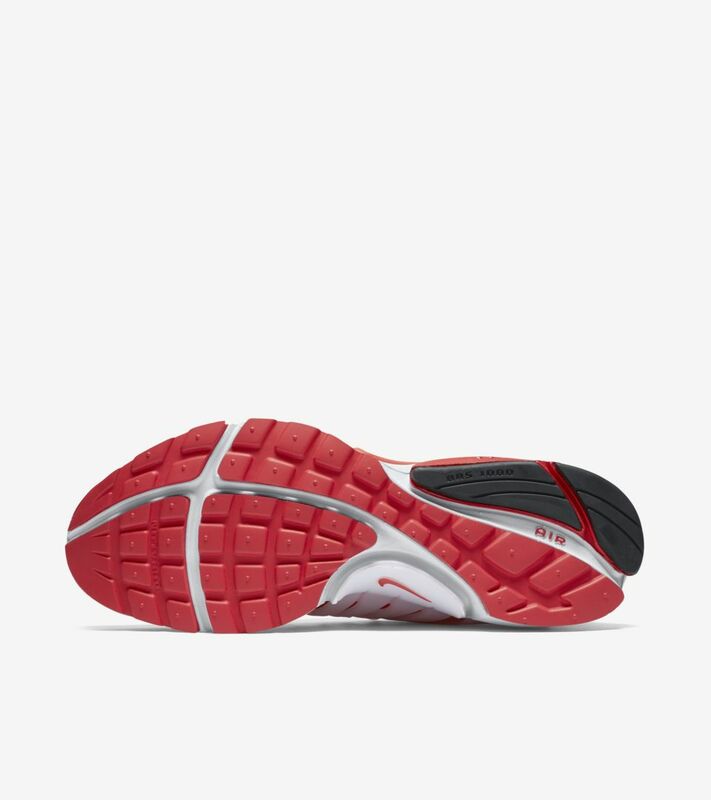 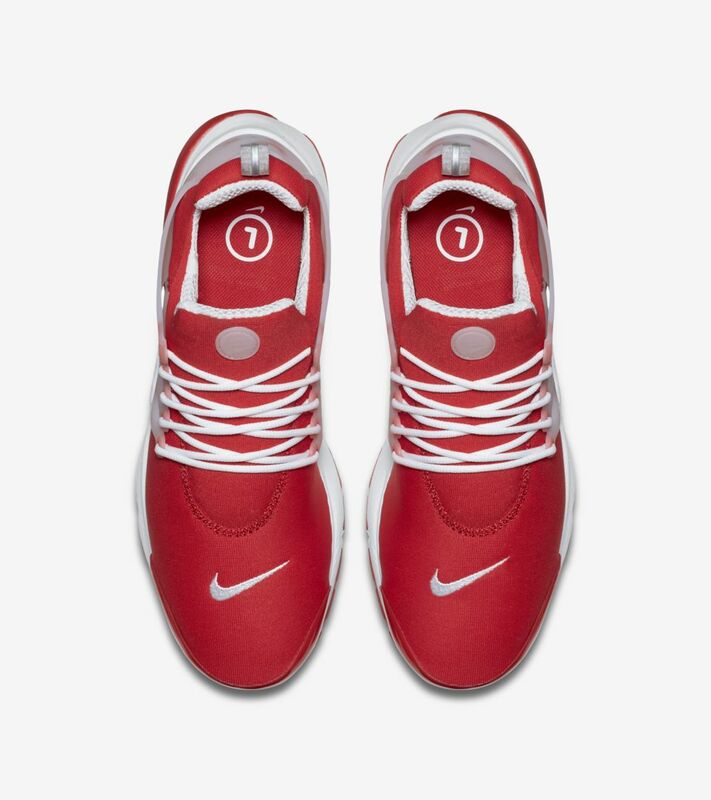 Born as a runner, the sneaker that introduced the world to a t-shirt-inspired, variable sizing system returns for everyday action. 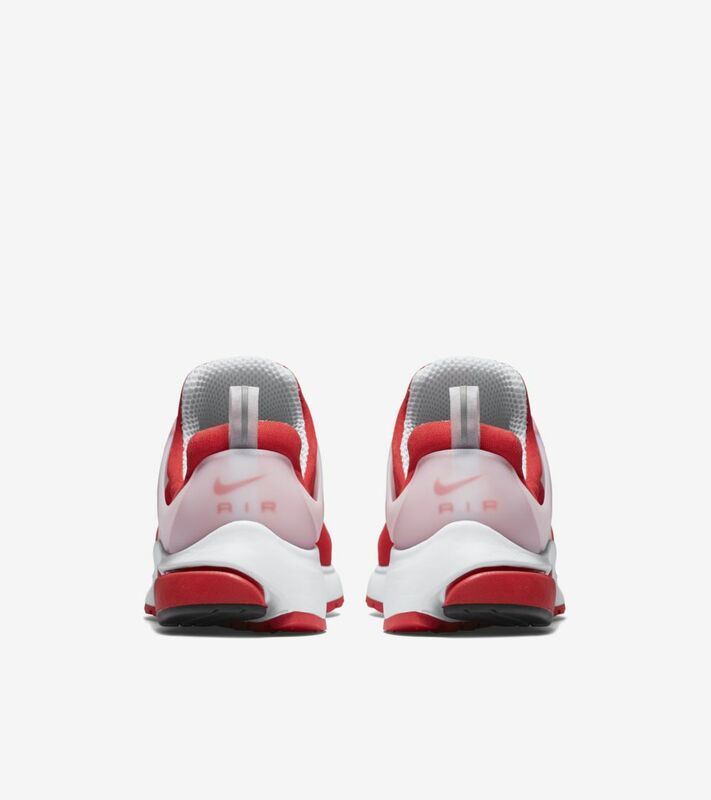 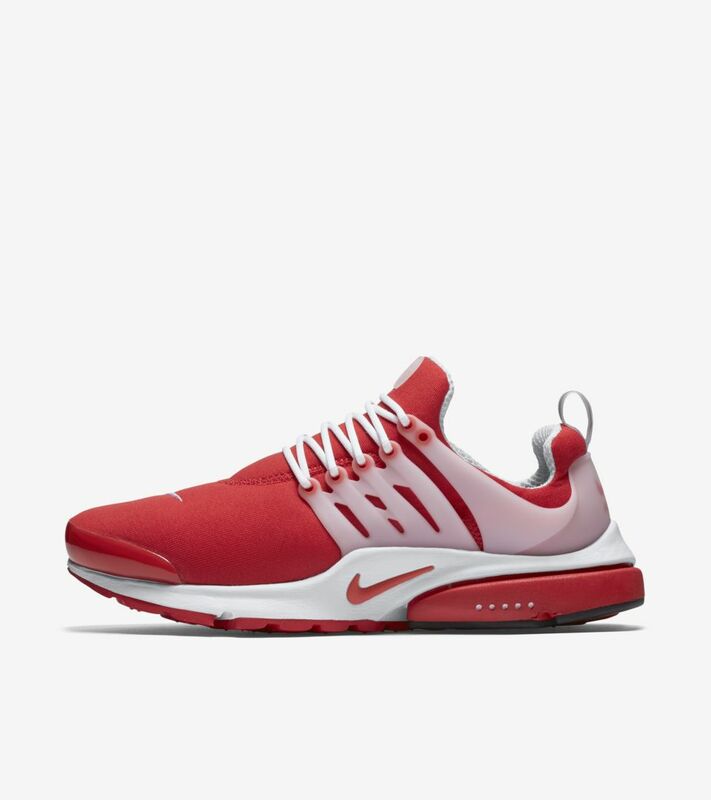 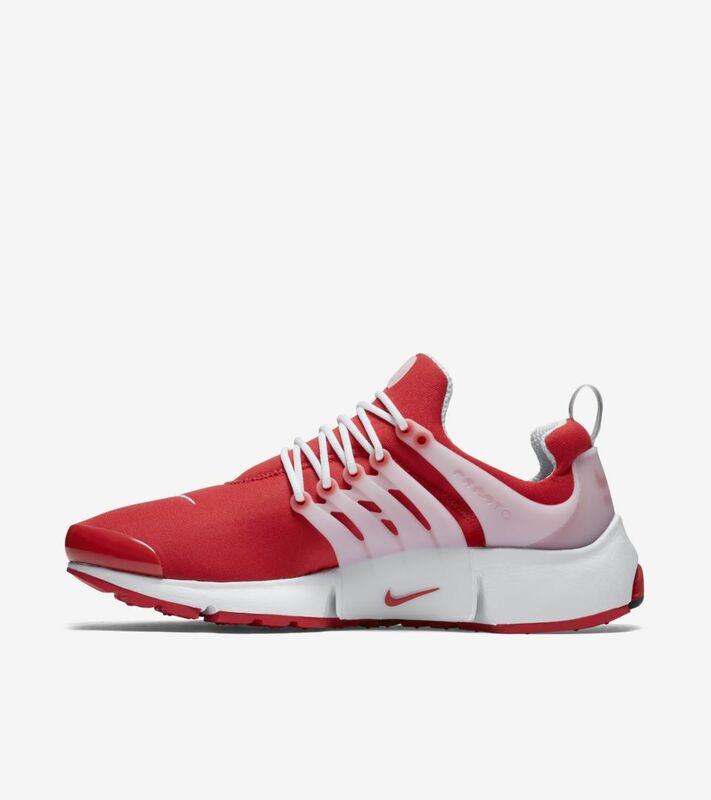 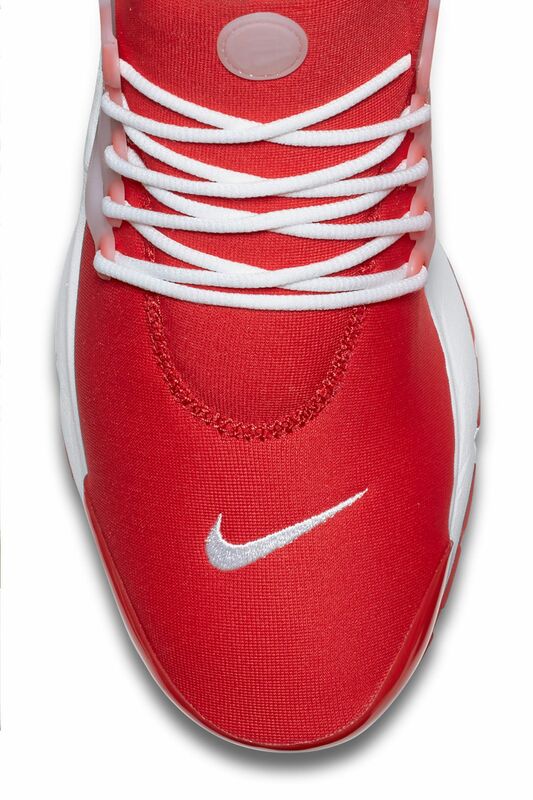 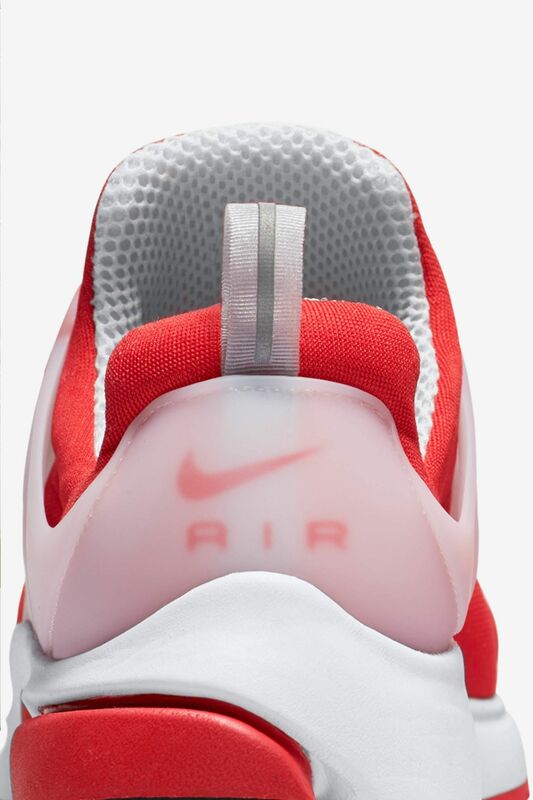 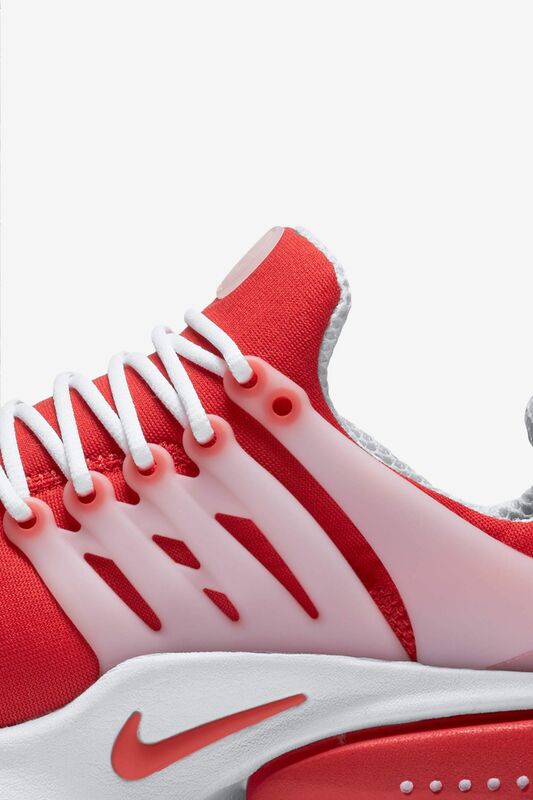 A two-toned combination of comet red and white ignites the Air Presto for a look true to the original.